Asst. 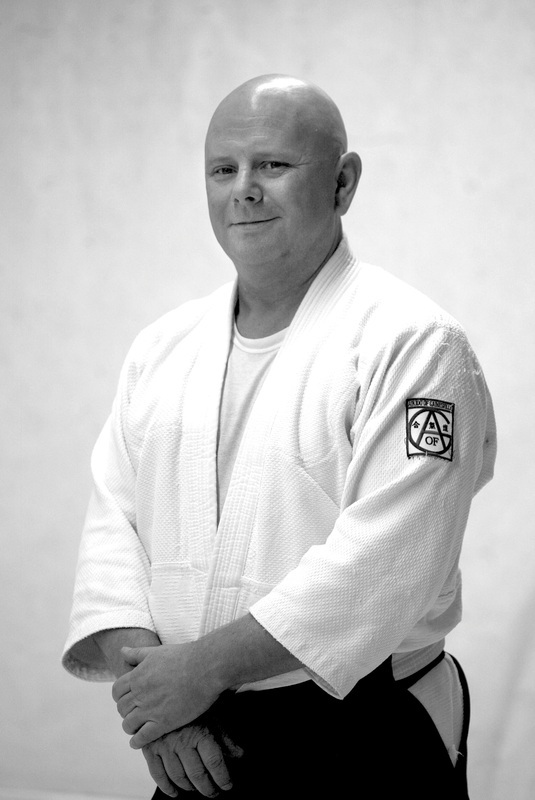 Instructor Keith McInnis has been a student of Sensei Huffman for 6 years (8-10 classes per week). He is a former deputy sheriff with over 8 years of patrol experience. He started his martial arts journey at the age of 10 in Isshin ryu Okinawan Karate. His first Aikido teacher was Sensei Minoru Oshima (a direct student of Koichi Tohei) with whom he trained for 3 years. Oshima Sensei was involved in developing the first standards for law enforcement officer defensive tactics in the State of Florida. Keith teaches kids, teens and adults and volunteers with community non-profits to bring Aikido to schools at no charge. Together with Sensei Huffman he developed self-defense techniques which incorporate his experiences as a law enforcement officer with Sensei’s expertise to deliver a true Aikido Self Defense program. Keith has a Bachelor of Science in Communications with a minor in psychology (neuroscience) from Florida State University. He has taught photography at the undergraduate and graduate levels and is an avid photographer. Keith has written extensively on the US Space program for numerous media organizations and been featured on local and national news programs. He is a ‘serial entrepreneur’ having founded the first internet site dedicated to space, science and technology news. He has advised companies, medical practices and organizations in their pursuit of internet related services (hosting, telecomm, infrastructure). He regularly gives talks on: The history of aerospace--untold stories of engineers and technicians of the early space program, internet safety for families, mindfulness in everyday life, personal safety and self-defense, handling bully’s without getting in trouble, weapons take-away’s for law enforcement officers and more. Keith designs curriculum for Aikido of Gainesville camps, seminars and special events, maintains the Aikido of Gainesville Facebook page and newsletter and schedules special events and appearances. He is the 'keeper of fresh, clean water' for the dojo, maintaining the water cooler with tasty, clean water as needed.